In the last several posts (on how to use summer to reinvent email campaigns and about how to keep email campaigns focused during the summer), we talked at length about kicking up the creative factor of your summer email campaigns, but some of you might be wondering how to do that exactly. If you’re scratching your head when it comes to creating cool email marketing content, then sit down, grab a lemonade and let me guide you through some killer examples. Of course, everyone knows summer is all about the beach, the sun, BBQs, etc. What you don’t want to do is be boring and stick with those cliché images. 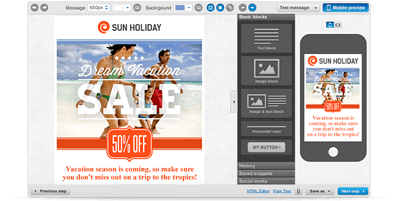 Take this example of a summer email campaign designed to promote a vacation package. It’s uninspiring, especially when compared to what UGG produced (below). The popular shoe company took their product, got inspired by summer destinations and put their product in play in a stunning summer email campaign set in Greece. The visuals are stunning, thematic and balanced with complimentary colors and three big bold images with clear, crisp text. Your eye isn’t having to hunt for the text like it had to with the first example. UGG, known for their winter footwear of slouchy furry boots, took a dramatic new direction and promoted sandals and a higher end vacation destination. You can be sure that their campaign goal here was to reach a more elevated audience. In other words, UGGs are classy, but still relaxed. Each of the pictures in the four quadrants is too similar. The eye sort of glazes over the campaign. It’s a great concept, and is very fairytale like if your audience favors that tone, but there should have been fewer patterns and more pop of colors in at least two of the boxes. 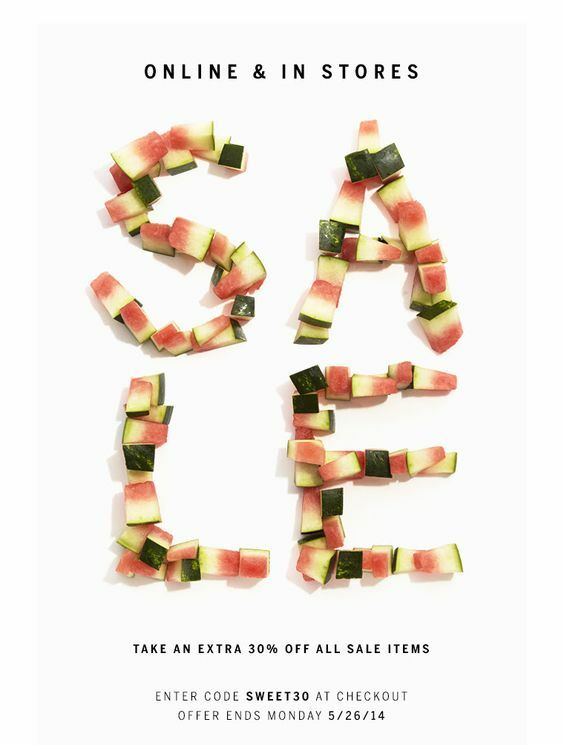 Seeing some visually stunning examples of awesome summer email campaigns always helps get your own creative juices flowing. If you’re still in brainstorm mode, then check out what your industry thought leaders have been doing and see if you can pull inspiration from there. The goal isn’t to copy what someone else is doing or to even have that same campaign focus. The goal is to invest 10 minutes in learning about to what else your consumers are exposed. If you’re anything like me, you can be driven to analysis paralysis with too much data – or you can get lost in a rabbit hole of visuals. So keep it Lean and stay focused. Create quick brainstorms, a Venn diagram, or family tree inspired outline of what your key messaging goals are, what the industry conversation is and where you see the gap. Have a structured and focused messaging funnel will help streamline the process. After all, you should be inspired by design – not consumed by it. The same goes for your audience. Great design should inspire your audience and support the message or product. It should take over or dominate your messaging.